and the Home of Crypt 33! 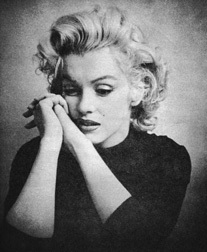 After a cumulative 60 years of investigation, researchers Adela Gregory and Milo Speriglio unearthed unprecedented details of the life and assassination of Marilyn Monroe, naming names of those involved in the "Hierarchy of the Hit". Purchase a signed authenticated copy of the First Edition, autographed by Author Adela Gregory! This is the first time that Author Adela Gregory has “authorized“ the sale of signed copies of her First Print Collector’s Edition bestseller of Crypt 33. Each of these copies are certified to be signed by Adela Gregory. No one else on the web can make this claim, not even AbeBooks. If you have always wanted to own a physical copy of the book or if you would like to own a signed copy, now is your once in a lifetime opportunity! Visit the store to purchase your copy today! You may think you know everything there is to know about Marilyn Monroe, but if you haven’t read Crypt 33: The Saga of Marilyn Monroe - The Final Word, then you only know a fraction of the story. 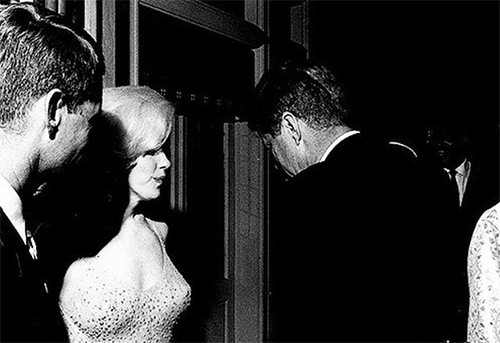 Yes, Marilyn was connected to some of the biggest names of the time; Joe DiMaggio, Frank Sinatra, and President John F. Kennedy (JFK), also Mob connections like mafia legends Jimmy Hoffa and Sam Giancana, but do you really know the whole story? 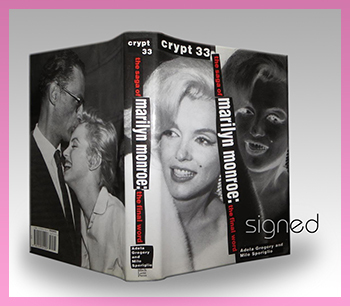 Crypt 33 does not only connect these and many other famous figures to Marilyn Monroe, but creates a mosaic of intertwined stories of deception and conspiracy too vast to understand if you don’t read it. 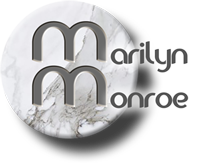 Whichever way you believe that Marilyn Monroe met her ultimate demise, Crypt 33 will pave the way for you to understand how she got there. By the time you finish reading this book your view of the blond bombshell will be forever changed. 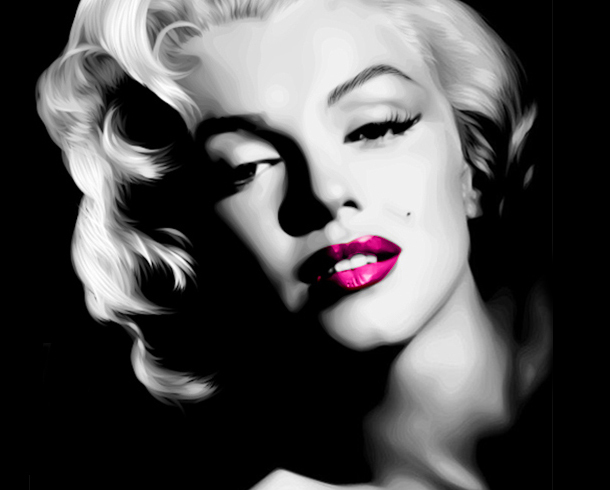 Crypt 33: The Saga of Marilyn Monroe - The Final Word! This site is still under construction. Please stop by again for future changes.